A hidden superhero of your home, the subfloor, is often taken for granted. However, a bit of knowledge and understanding as to this construction mainstay works will keep you walking on solid ground. Plus, this information averts the foes of mold, rot and other maladies that threaten your home’s health and integrity. Subflooring materials span the floor joists to lay a foundation for the finished floor. Not only does this layer support the underlayment and finished floor, but it also supports you, your family, pets, and guests. Together, the flooring layers offer a tighter, stronger structure. Only in cases of concrete and non-joist floors are subfloors unnecessary. Typically for other finished choices, an underlayment rests on top of the subfloor. For instance, padding protects carpet wear and its manufacturer’s warranty. 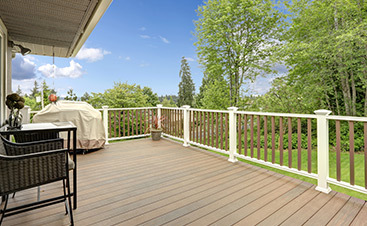 Likewise, wood and laminate require a layer of foam or cork padding to increase flooring life. On the contrary side, tile and stone options need a rigid mortar or cement board layer to prevent cracking. Budget and preference of features dictate the choice of subfloor materials used by contractors and homeowners. Typically, a subfloor comprises a few common materials. A heated tile floor as you step out of the shower screams luxury. 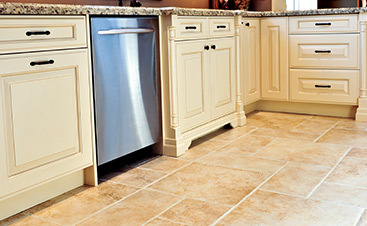 Warmboard provides a way to prevent cold tile from forcing you to wear shoes everywhere. Thicker than a traditional plywood floor, this option contains grooves to run tubing. The tubing carries heated water. An aluminum skin reflects warmth into the room. Typically, OSB options run less expensive. As expected, enhanced products add cost to the subfloor. However, you get what you pay for when it comes to this construction material. The additional cost for plywood or enhanced products buys you features resulting in greater longevity of your flooring. A money and hassle savings in and of itself. Structural support as mentioned above. Strength to handle heavy objects such as appliances, cast iron tubs, refrigerators, etc. 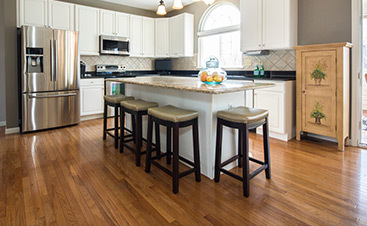 Easy transition from carpet to hardwood to tile as your design aesthetic changes. Beauty of the final flooring look. Longevity of your finished flooring choice. Flat, level or even floors. 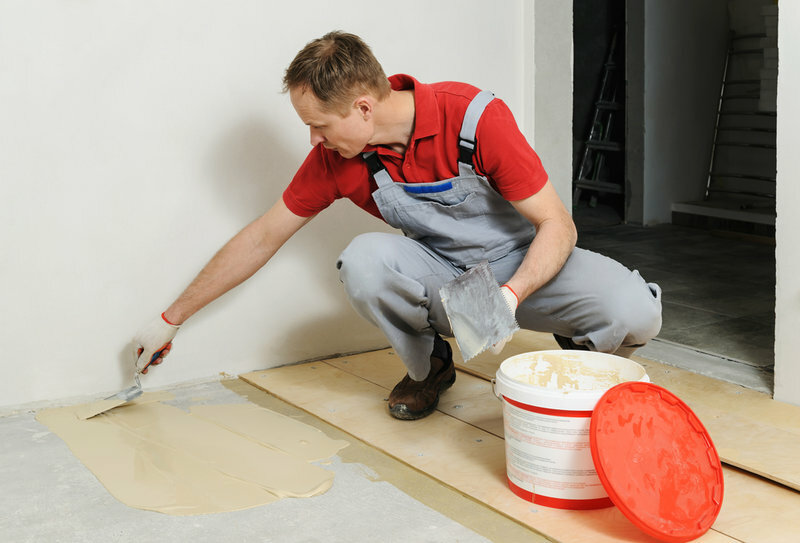 Do You Need to Repair a Subfloor? Out of sight often puts subfloors out of mind. Unfortunately, problems arise from this vital component of home construction due to moisture issues and even pests. The result is water damage and rot which require attention to maintain flooring and structural integrity. Three key signs point to needed subfloor repair. If you note any of these S’s as you walk across a room, your floor is signaling S.O.S. Contact a flooring specialist for further diagnosis. Through a hands-on inspection, these professionals recognize issues by looking for signs of problems. Additionally, evidence of staining, spots on flooring, mold or mildew, and drywall issues come to their attention. Identifying the issue early saves time and money by limiting further damage. For instance, termites left unchecked move from subfloors and then on to joists while wreaking havoc on your home’s structure. Water damage remains an active enemy of wood leading to rot and mold over time. As you might expect, replacement of a section of subflooring remains significantly cheaper than replacing an entire subfloor. Avoiding damage to joists and other framing structures also keeps cash in your pocket. In other words, paying attention to this silent workhorse, your subfloor, is critical.